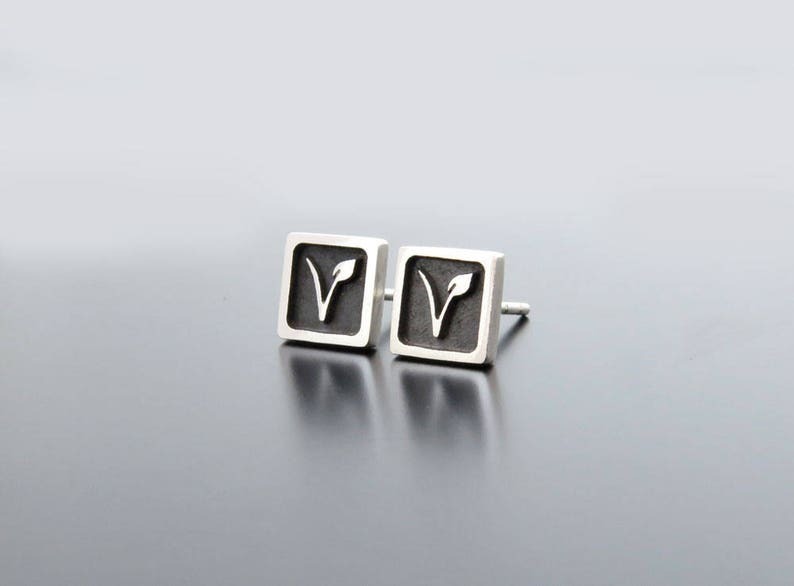 Small sterling silver vegan earring studs. The silver is solid 925. Tiny and special silver vegan earring posts with "V" letter. Beautiful and meaningful vegan gift. 💝 This listing is for pair of Vegan studs with "V" letter. Go vegan! Speak for those who can not speak. It is vegan image to raise awarness that vegan population is growing. 🌼 The shape is: square.